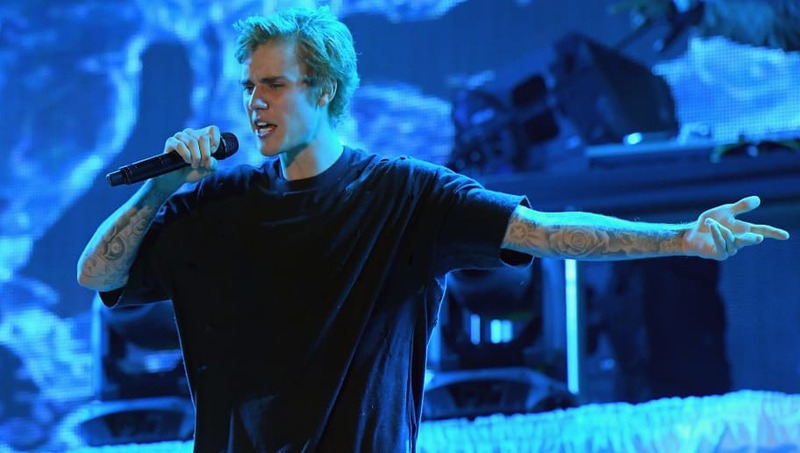 Justin Bieber is here to prove there's no bad blood between him and his wife's ex. In case you missed it, Hailey Baldwin was dating Shawn Mendes just weeks before getting back together with Justin last spring, which has had fans scratching their heads ever since. Although both the 22-year-old model and 20-year-old singer both denied they were anything but friends at the time, Shawn came out and finally admitted to the rumors in November. So it wouldn't be crazy to assume Justin and Shawn are on at least weird terms. But apparently that's not the case, as the 25-year-old singer just took to social media to throw some jokes at Shawn's way. Over the weekend, Shawn shared his new cover for Observer Magazine, which dubbed him the "Prince of Pop." Justin quickly took notice, and slid into Shawn's comments section to weigh in on the title. "Gonna have to break a few more records to dethrone my title there bud," Justin playfully wrote. Of course, fans around the world quickly assumed there was legitimate beef between them from this comment, to which the "Sorry" singer clarified, "It was a playful joke people relax." To make sure fans for sure knew it was just a joke, Shawn also commented back, writing, "LOL any time any day you just let me know!!!" While it's a bit unexpected for Shawn and Justin to be buddies all of the sudden, we're totally here for it.